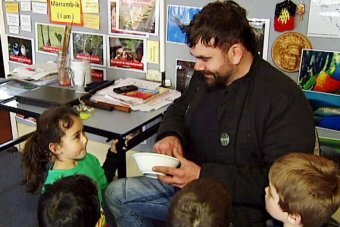 At seven primary and secondary schools across Victoria local Aboriginal language classes are part of the curriculum. The revival of 18 of the state’s Indigenous languages is recent and ongoing, and dedicated traditional owners are currently working to save that part of their culture. Woiwurrung is the language of the Wurundjeri people, whose traditional lands include modern Melbourne. Woiwurrung language teacher Uncle Phil Cooper said when Stolen Generation children were taken from their families, they were not allowed to speak their language. “Our children were taught a different culture and taught how to not be Aboriginal, basically,” he said. Once a week, Uncle Phil teaches the local language and culture to students at Thornbury Primary School. He said the fact the local language is taught is significant for Aboriginal students in the class. “They and their families would feel valued about that. The school actually says, ‘you are worthy and you are important and this knowledge is important’,” he said. For Aboriginal prep student Tahlia, it is a special task to learn the local language at school. “It’s really my favourite thing, because it’s all Aboriginal language and it’s Aboriginal land,” she said. But it is not just the Aboriginal students who benefit. The classes give all students a connection to their local area, and Uncle Phil takes his role of changing the attitudes of the next generation seriously. “If I empower them with a knowledge of Aboriginal culture, they’ve got no fear with regards to Aboriginal people,” he said. He said every school should teach the local Aboriginal language, no matter how many Indigenous students attend. Across the state, people like Uncle Phil are in high demand. Victorian Corporation for Aboriginal Languages executive officer Paul Paton said word of the program’s success had got out, and at least half a dozen other schools want to run the classes. But there are not enough teachers to go around. 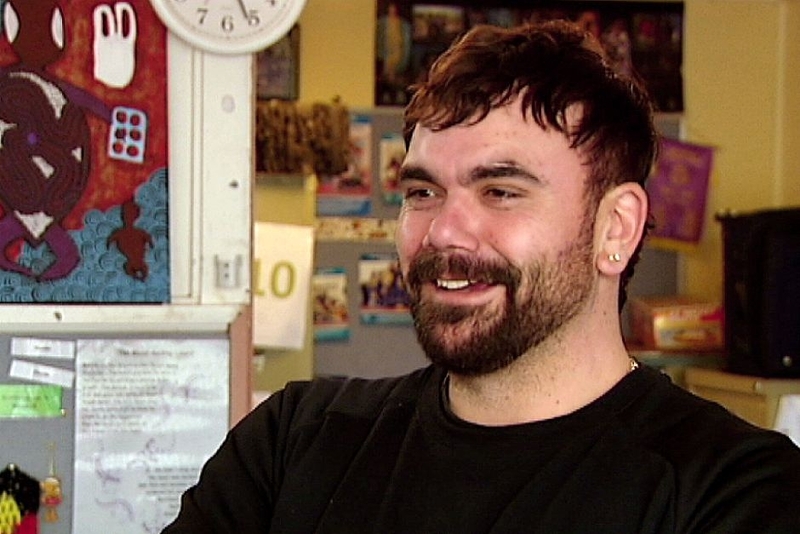 He said there was also no formal Aboriginal language teacher training offered in Victoria. “We need more community people with the skills and qualifications to be language teachers, and we can see that there’s a gap in that training that needs to be addressed,” Mr Paton said. Mr Paton said while classes were currently provided through Languages Other Than English (LOTE) funding, Aboriginal languages are playing catch up when it comes to resources. “LOTE funding can support Aboriginal language programs, but there is additional funding required to support the development of teachers and resources to support those programs. In a statement, the State Government said it was already supporting the delivery of classes. “Schools, in consultation with the local communities, are responsible for selecting the languages they teach – including Aboriginal languages,” it said.